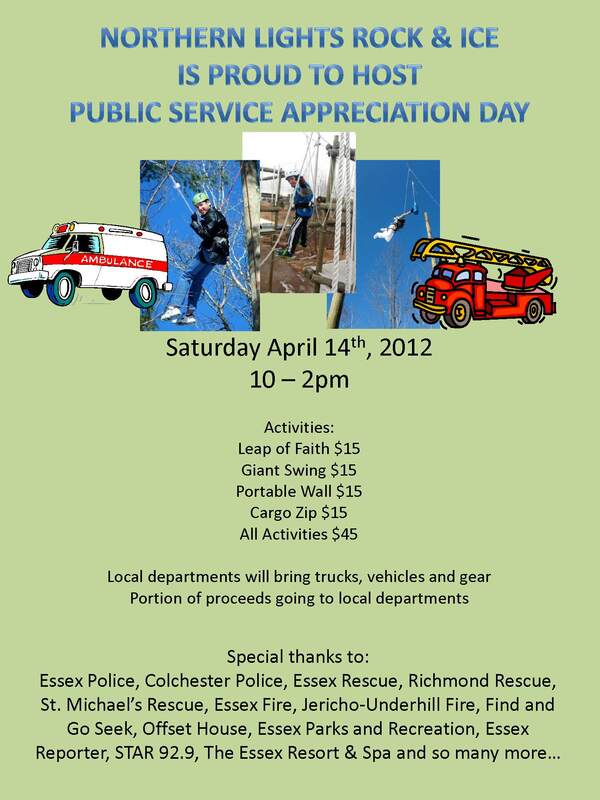 Public Service Appreciation Day 4/14! Our neighbors at Northern Lights Rock and Ice are proud to host a Vermont Public Service Appreciation Day, Saturday April 14th, from 10:00 a.m. to 2:00 p.m. The public is invited to experience Northern Lights while at the same time having fun with local public service departments including: Essex Police, Colchester Police, Essex Fire, Jericho-Underhill Fire, Essex Rescue, St. Michael’s Rescue, and Richmond Rescue. The Cargo Zip, Leap of Faith, Giant Swing and Portable Climbing Wall will be specially-priced during the event, at $15 each or $45 for all four. And a portion of all proceeds will be donated to the departments. Plus, we’re providing the barbeque picnic! Make plans now to come out and celebrate our finest and bravest… while having some fun and plenty of good eats! Call 316-3300 for more information. 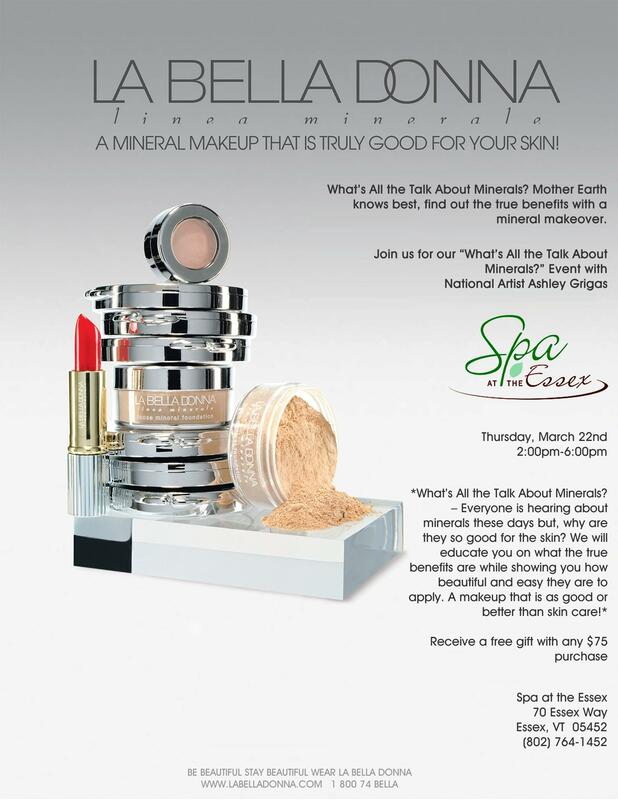 La Bella Donna event Thursday, 3/22!